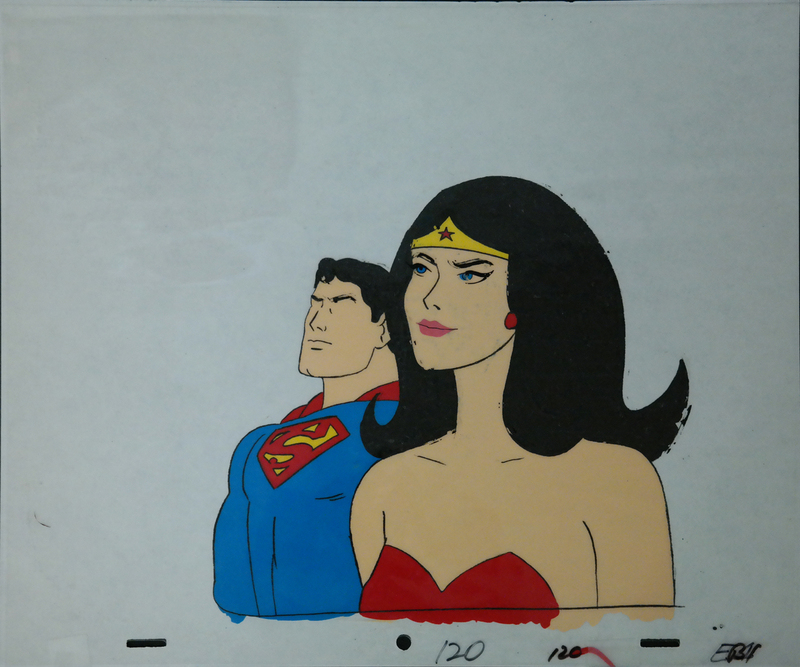 This is an original model cel from Superfriends (1970's). It features Superman. The untrimmed cel measures 10.5" x 12.5" and the image measures 7" x 7.5". It is missing the eye cel layer for Superman.